So you’re all dressed in your perfect white wedding gown, slaying makeup, fitted shoes and essential jewels: you’re ready to walk down the aisle. Bridesmaids are ready, the groomsmen await at the altar and your life partner prepares himself to accept your hand in marriage. Everything is perfect until you feel like something’s missing. You realized that your entire bridal look is incomplete because you just need one last finishing touch that is, the perfect scent. 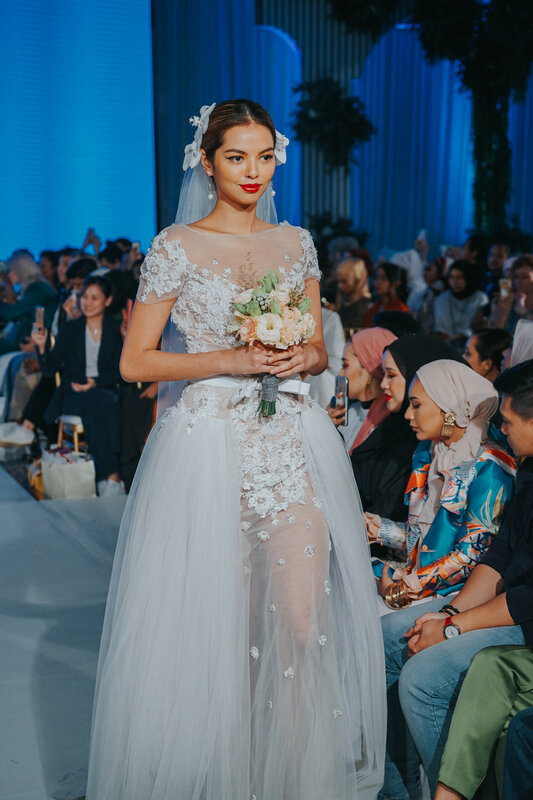 Last weekend at The Wedding KL 2019, premium homegrown designers showcased their bridal collection from Ambersze, Liza Alzukarnain, Shiatzy Chen to Rizman Ruzaini, Hatta Dolmat and Syomirizwa Gupta. Syomirizwa Gupta has been in the industry for more than 12 years is now the creative director for his own fashion powerhouse. His creations has draped the shoulders of high profile celebrities and members of Malaysian royalties from eid collections to now bridal which did not disappoint as the La Salle International Design School graduate 20 dress collection for 2019/20 had guests wanting for more. Incorporating exquisite floral headpieces and small bouquets for each model, his pieces features intricate embellishments that exudes high end quality sewing and beading that you can only find in his collection. The designer also took the turn of using soft color tones of nudes, blue and pink that resembles a cheongsam and mermaid silhouette that’s perfect to be worn by either bride or bridesmaids. 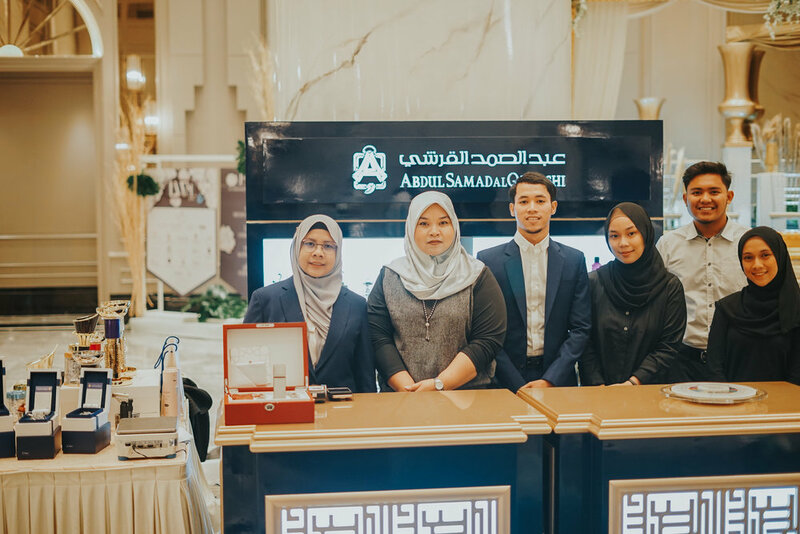 Syomirizwa Gupta Brides 2019/20 will leave you feeling like a bridal beauty on your big day but it would not be complete without the scent of Abdul Samad Al Qurashi. 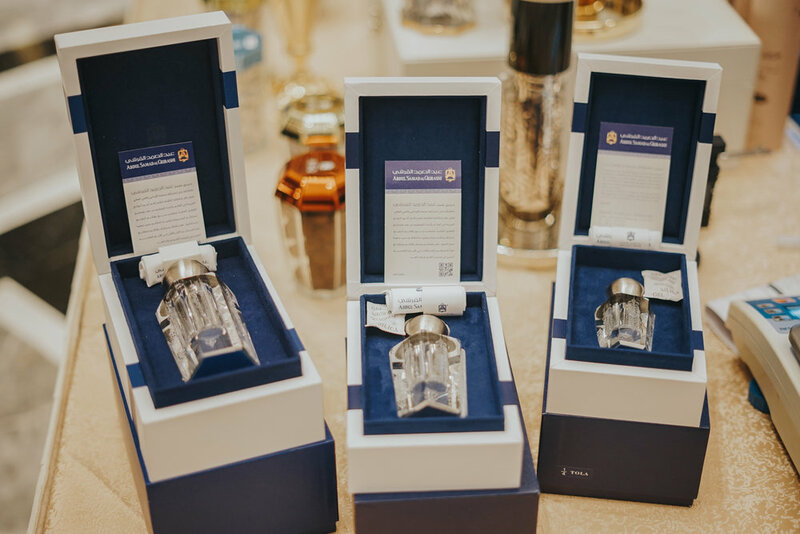 As The Wedding KL’s official fragrance this year, Abdul Samad Al Qurashi family heritage and expertise has been around for more than 150 years old. It has been passed down from generations to generations and now in the modern age of technology, the brand has developed over more than 100 types of perfumes made from natural ingredients. One spray of their scent and you’ll be catching attentions around you who wanna know where to get it. So on your big day, have a bottle of any ASQ’s fragrance to complete your bridal look. Visit Abdul Samad Al Qurashi’s website or visit their social media page. No stranger to humble beginnings, designer Syomir Izwa started his brand in the modest surroundings of his own home - but little did the bourgeoning designer know that his creations would one day come to drape the shoulders of high-profile celebrities and members of Malaysian royalty. Check out the full collection from Syomirizwa Gupta Here!